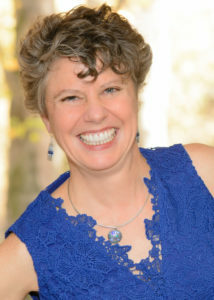 Jeanne E. Harrison is the founder and producing artistic director of Traveling Players Ensemble, Inc. She holds an MFA in directing from Catholic University, an MA in Theatre and Drama from the University of Wisconsin-Madison, and a BA in English from Macalaster College. She has taught theatre for The Folger Shakespeare Library, John Moores University (England), University of Maryland-Baltimore County and Catholic University. She was a visiting artist at Loyola University in Baltimore. Ms. Harrison received the 2016 Strauss Award from the Arts Council of Fairfax County for integrating classical and physical theatre. For 2015-16, she was selected as one of three Artists in Residence by the Arts Council of Fairfax County to develop cross-curricular arts curriculum for a residency program in a Title 1 public middle school. Her residency, “Masks: Identity Concealed and Revealed,” probed the meaning of persona by developing physically expressive performances through character masks and the making of personal masks. Ms. Harrison has served as a grant panelist for the Virginia Commission for the Arts and the Arts and Humanities Council of Montgomery County. She also served as a judge for the Helen Hayes Awards, Washington, DC’s theatrical awards organization. Prior to founding Traveling Players, Ms. Harrison was a Master Teacher and Theatre Director at the Interlochen Center for the Arts and the Elementary School Program Coordinator for the Folger Shakespeare Library. Ms. Harrison’s work has been published in Stage of the Art, a journal published by the American Alliance of Theatre & Education. In 1995, she created drama-in-education lesson plans that supplement the play in Five Plays – A Teacher’s Guide and Scripts – The American Girls Collection®, published by The Pleasant Company. Recent directing credits with Traveling Players include The Comedy of Errors, The Taming of the Shrew, The Tempest, All’s Well that Ends Well, Cymbeline, Measure for Measure, and Hamlet. Her work has toured to the Kimball Theatre at Colonial Williamsburg, Lime Kiln Theater, Norfolk Botanical Gardens, Clifton Forge Masonic Theatre, Shenandoah National Park, and the Kennedy Center. Other directing credits include The Cave (Imagination Stage), Dimly Perceived Threats to the System (Loyola University), Replacement Time (Source Theatre), and A Midsummer Night’s Dream and The Taming of the Shrew (Interlochen Center for the Arts). Ms. Harrison has worked in camping for 31 years, directed two other camps, and is a certified Camp Director, Wilderness First Responder, and Instructor with the American Red Cross. Jeanne is TPE’s Producing Artistic Director, and directs the summer’s Traveling Troupe and the Winter Shakespeare in Performance class.